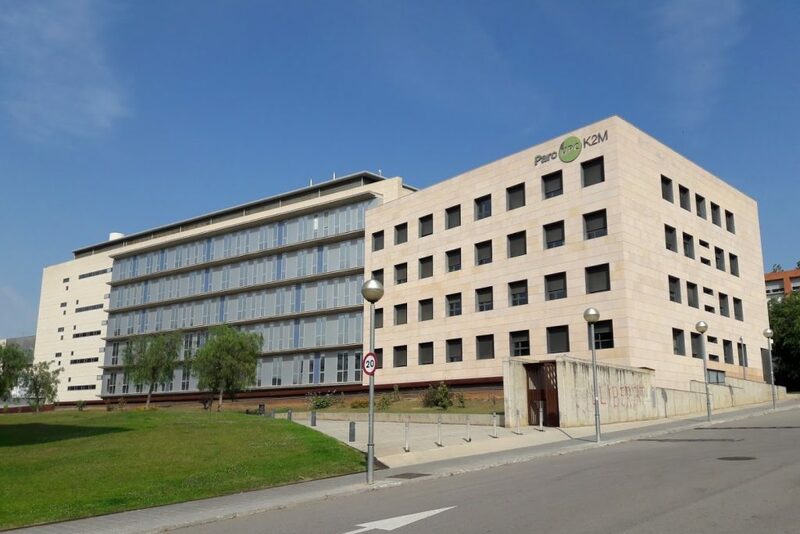 Most DCCG research group members are at the Departament de Matemàtiques, located in the Campus Nord of UPC, in the 3rd and 4th floors of the Omega building. By metro: The closest metro stop is Palau Reial (L3-green line), followed by Zona Universitària (L3-green line, and L9S-orange line connecting to the airport). By bus: Many buses get you to the university, for instance: 7, 33, 54, 60, 67, 75, 113, H6. See the campus map: the Omega building is highlighted in red. The Omega building has two entrances. If you come by metro or bus from Palau Reial (through Carrer John Keynes) or from the Torre Girona residence, the nearest entrance will be the one more to the East, marked in red below. The other entrance, closest from metro station Zona Universitària, is shown in blue. If you enter through the East entrance, then go through the automatic door on the right (under the sign “Edifici Omega”). There you will find the elevators. Most DCCG research group members are located in the 4th floor.